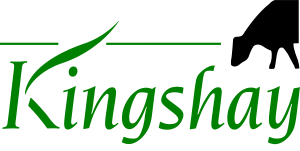 Kingshay, in association with the Farm Consultancy Group have developed AgriBudget to help effectively manage, monitor and evaluate your farm finances and meet the demands of lenders. AgriBudget is a key addition to your farm management tool box. Knowing and managing costs is an essential part of good business management. AgriBudget provides an easy to use platform to enable the user to engage and keep control of their business and inform future decision making. Full farm business budgets can be produced for 1 to 5 years, with the flexibility to enter data on an enterprise by enterprise basis, enabling all aspects of a business’s profitability to be monitored. Enterprises can be edited to include as many or as few details as required giving you ultimate flexibility and making it suitable for both farming and non-farming enterprises. Reports can also be tailored to meet specific needs.